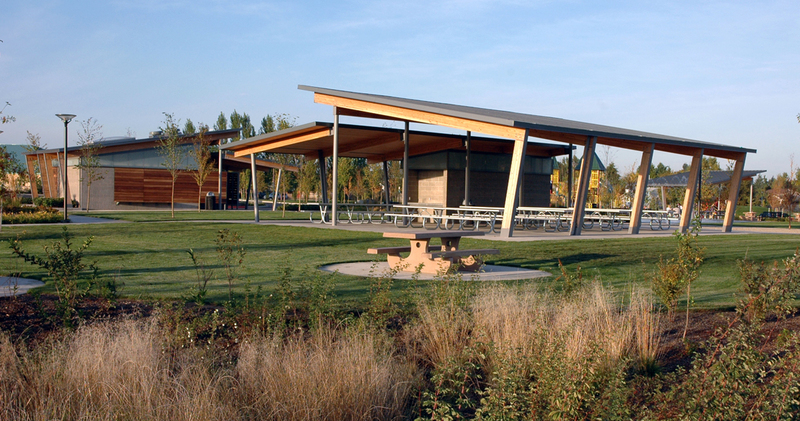 Opsis Architecture collaborated with Murase Associates on the planning and design of a new 30-acre community park for the City of McMinnville. 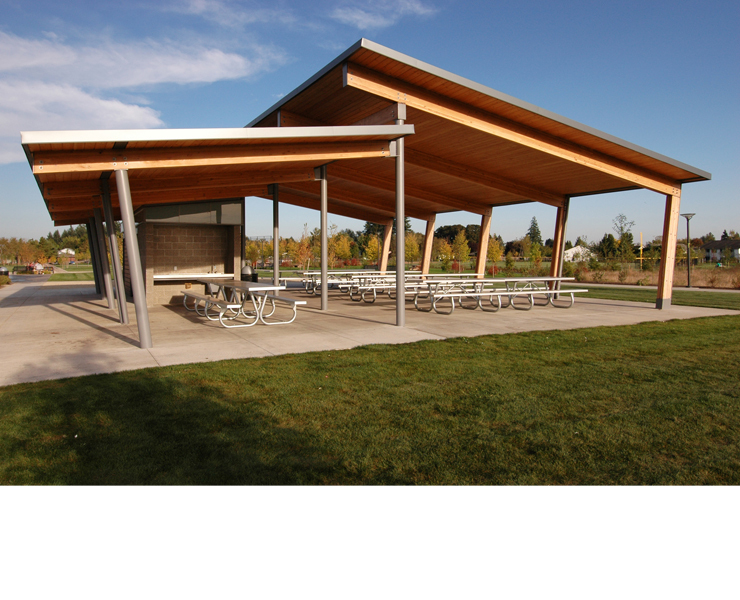 Opsis designed three structures that are clustered to form a compound defining the edges of a central plaza with a water fountain. 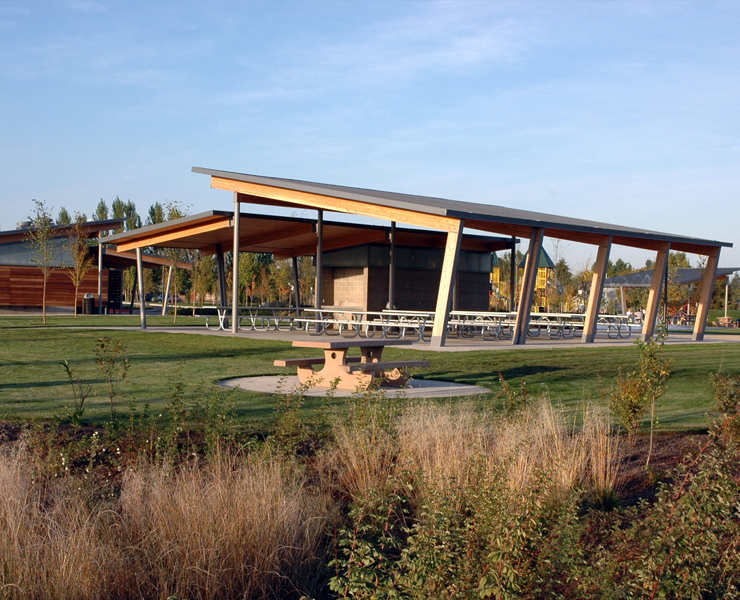 The park shelters include a park arrival and orientation facility with restrooms, a concession and group picnic structure, and a covered picnic shelter. 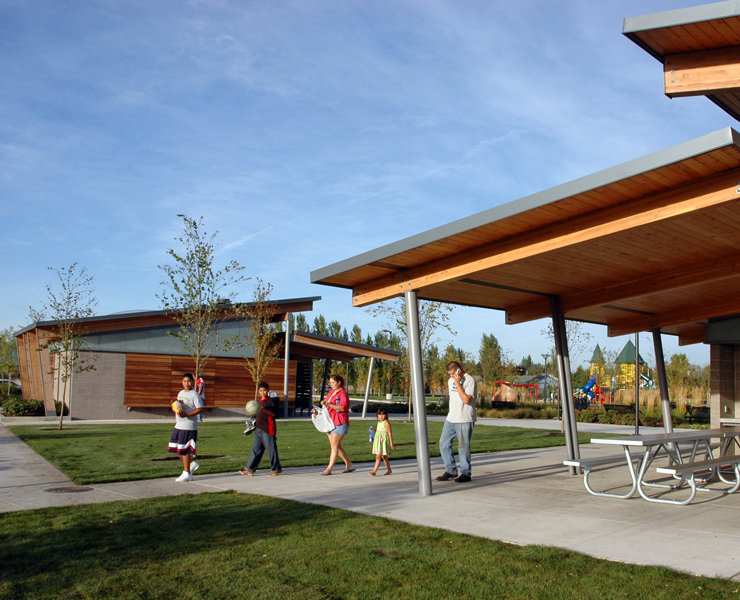 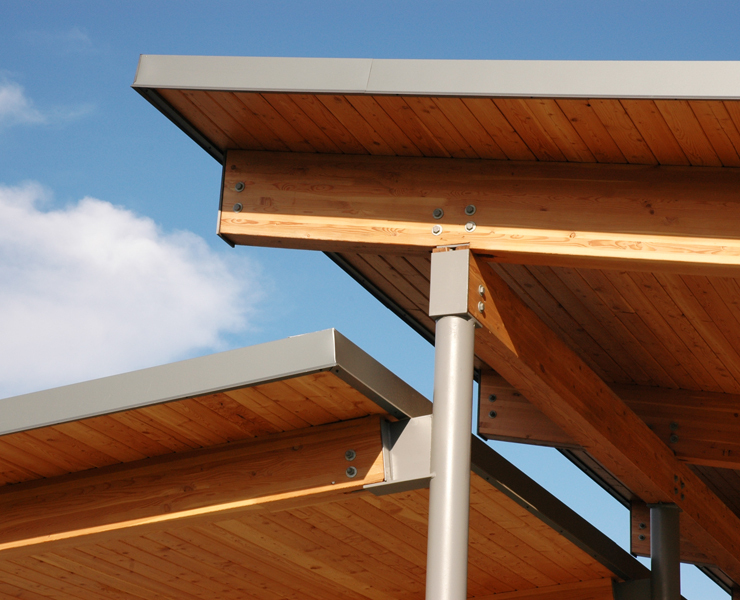 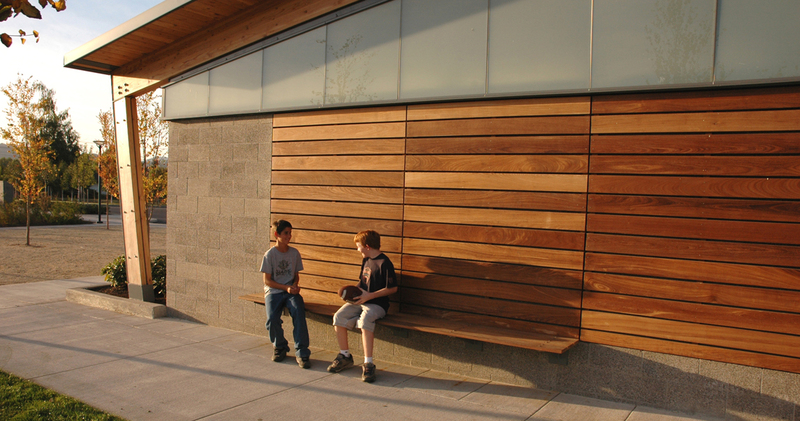 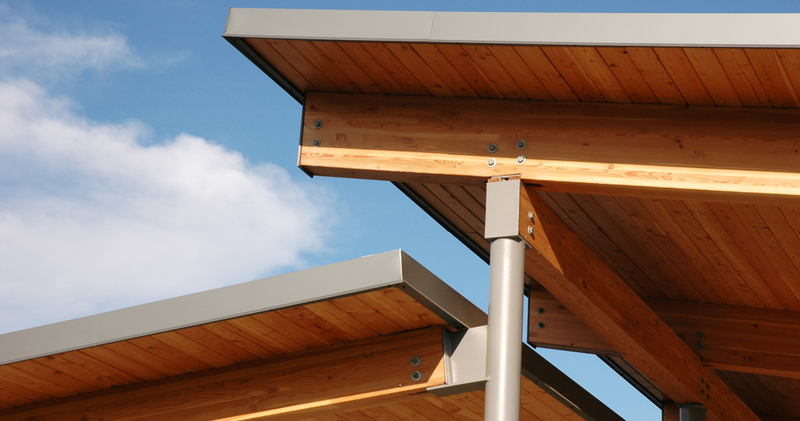 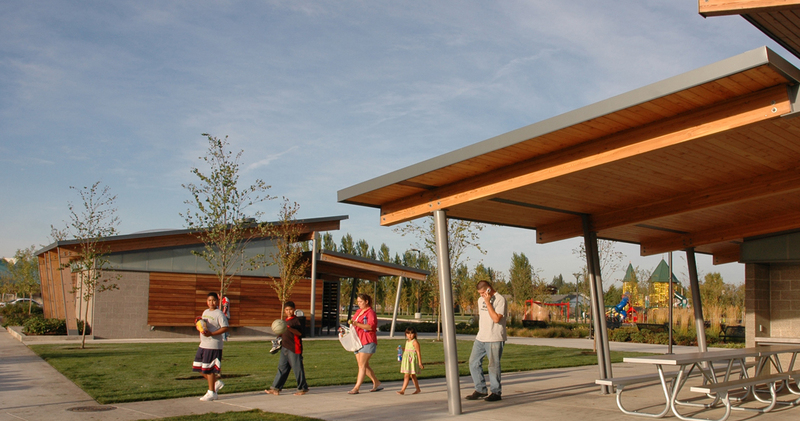 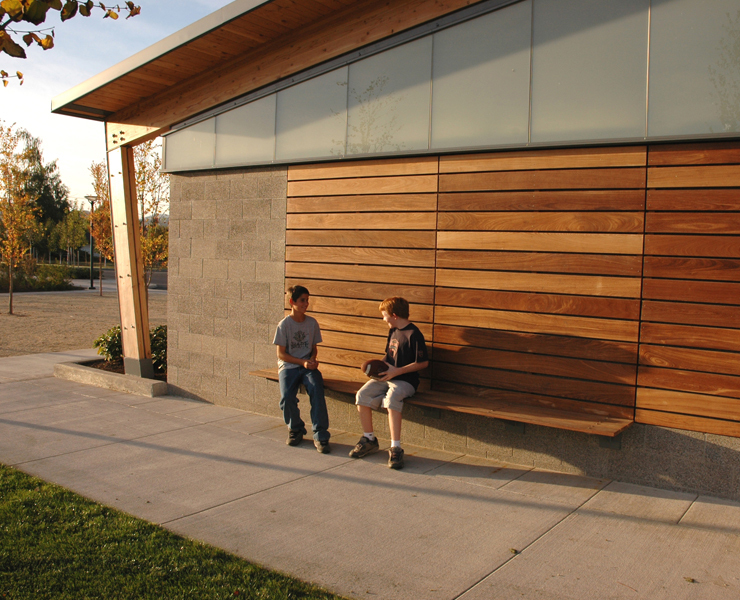 The materials and forms of the park shelters reference McMinnville’s agrarian setting and attempt to balance the vernacular with contemporary detailing and energy efficient design. 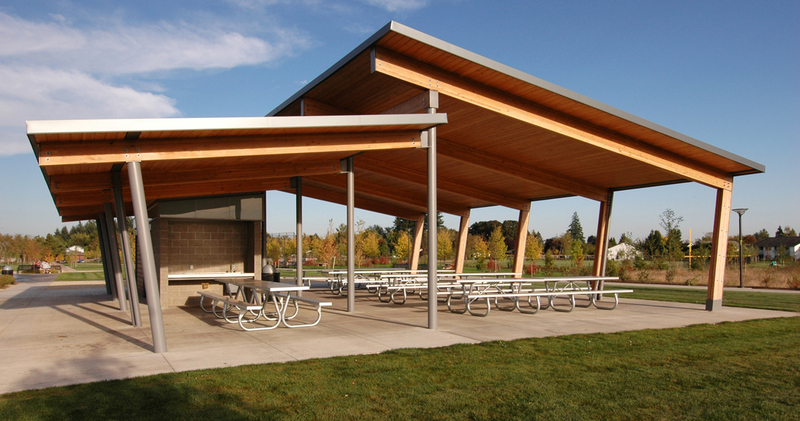 The structures utilize post and beam construction with wood decking, ground faced concrete block for service areas, skylights and laminated glass for clerestory daylighting and ipe hardwood siding for screen walls, sliding doors panels and benches.